Heather’s background in swimming competitively from age 6 under the direction of Olympic coaches Richard Quick and David Marsh led her to triathlon at the age of 14 in her first relay race. Her passion for endurance sports continued and has been her profession for over 15 years. Heather worked for Alabama State University as assistant strength and conditioning coach for their Division I football, tennis and volleyball teams after receiving her license as a NSCA, Certified Strength and Conditioning Specialist. 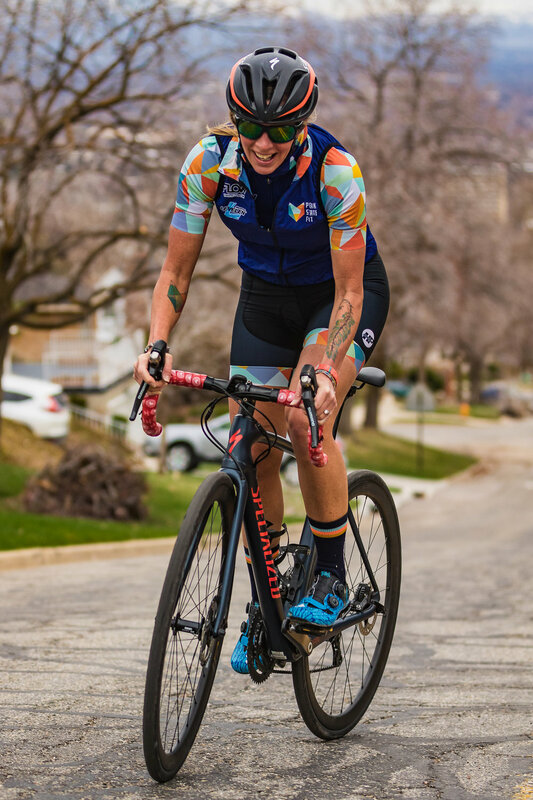 Heather and Pat founded Peak State Fit from their 20 year combined coaching experience as USAT Level 2 coaches and strength coaches bringing their passion for wellness through endurance sports, functional strength and bike fit together. Heather has a proven track record of coaching athletes to their top goals with responsible progression to minimize risk of injury or burnout while cultivating a physical and mental amplitude of Peak State. Heather and Pat offer endurance coaching, professional bike fitting, strength and mobility training as well as strategic consultation. Peak State Fit offers specific programs for performance and weight loss for everyone, not just triathletes. Many of their clients simply want a better quality of life! Heather’s favorite race of all time was hands down Ironman World Championship in Kona 2017! Heather coaches athletes of all levels but specializes in highly motivated individuals with a passion to seek gains! She has coached dozens of athletes to their first Ironman finish, 5 Ironman World Championship athletes to Kona and several to Ironman World Championship 70.3 races. Coaching from a holistic approach through the use of corrective exercise, individually designed training plans including metabolic efficiency guidance and mental skills training allows an athlete to develop at a rate and direction responsive for each unique athlete. Heather is a domestic violence advocate and athlete ambassador for Coeur Sports.